You can buy your spa bath ticket online now to get a fast track entry with a private cabin to access all the pools, thermal baths, spa facilities in Gellert Bath, the top tier medicinal hot spring bath in Budapest, along with Szechenyi Bath. Tickets can be pre-booked for the same price you would pay at the cashier of Gellert Baths in Forint. Please check the current prices here: Gellert Bath Prices. You can book your tickets online via our booking form on the left side. With the help of an additional €0.5 – €1 (depending on currency changes) you can buy your peace of mind, and skip the lines in the bath cashier. By purchasing the Fast Track Entry to Gellert Spa & Thermal Baths you not only skip the lines, but you will also ensure entering the baths via our fast track entry at the Help Desk with friendly bath staff speaking high level English. Please note that massage treatments need to be booked at least 24 hours in advance, but bath tickets can be booked for the same day, or next day too. Online tickets are confirmed via email: please make sure you provide your email address correctly. The confirmation email is your Gellert Bath e-ticket, so if you have a smart phone with wifi access, you can buy your ticket instantly. Mobile phone bookings via phone are currently not available in Gellert Spa. Budapest other famous thermal bath is Szechenyi Bath. You can also reserve massage treatments and book tickets online in Szechenyi Spa Baths. Unfortunately, the rest of the Budapest baths have not been equipped with online ticket & massage purchase infrastructure yet. Visitor tickets are available for the price of HUF 2,000 per person, which includes a short, approx. 10-15 minutes tour (without guiding) in the Bath. Tours start every Tuesday, Thursday and Saturday from 11am and 3pm. You don’t need to book you visitor ticket in advance, and there is no minimum group size for the tour. Guided tours can be booked in advance for larger groups, please contact us at info [at] gellertspa.com for further information. To save You time and effort, and also to reduce the long lines in peak times at Szechenyi Bath Budapest, you can also purchase your bath ticket, and some of the massage treatments online in advance. PayPal is a safe online payment, no bank data is shared with us. Note: we do not gather data for statistics, but your email is required for the booking confirmation. Bath Party Tickets are sold separately from the regular Szechenyi bath tickets.You can book your party ticket online via our party ticket vendor by following the link. Please note that Szechenyi Baths pools are for children over 14, we recommend taking under 14 kids to one of the following Budapest pools: Palatinus Furdo (summer time open air lido) or Dagaly Furdo (summer time open air lido) where thermal baths and children pools are both available. Hi. Can we get the Budapest Card discount when booking online? the Budapest Card discount applies if you are buying your tickets upon arrival. However, we recommend the online bookings, as our online tickets are FastTrack entries. Hi . Does the Budapest Card discount also include massage treatments. Are children allowed in the spa (are 9 and 12)? If so what price for children? Thank you. children over 14 are welcome to the Spa, but for kids under 14 years of age the pools are not recommended, due to medical reasons. Should the parents decide to visit Gellert Spa despite this, families may arrive with children at their own responsibility. There are no special prices for kids. 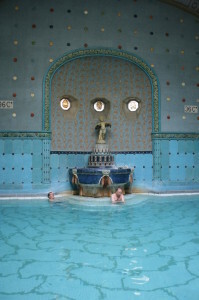 Have a great time in Gellert Spa Budapest. I would like if you re facilities are all working (outside pools and inside pools) for the month of february and March? Also I would like to know if swimming caps are necessary or if you sell them? the outside pools are closed in winter time, and it usually opens around May (depending on the weather). Swimming caps are required in the swimming pools only (but not necessary in the thermal pools). Caps can be purchased in Gellert Spa. 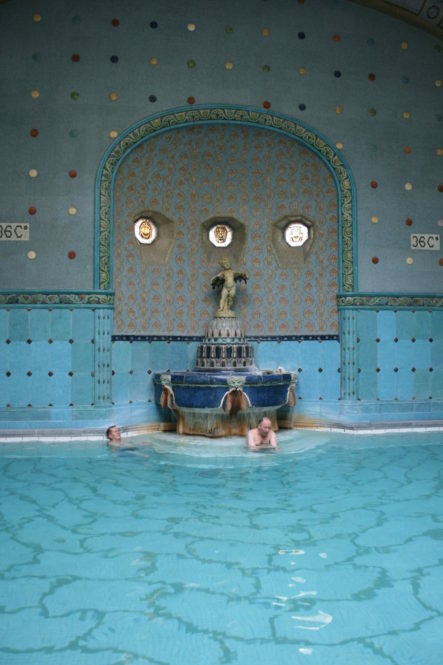 Can we book a ticket that gets us access to both the Gellert Soa and Széchenyi baths? Or will we need to book two separate tickets. you need to buy separate tickets to Gellert Spa and Szechenyi Baths.